Never let your pets skip a meal with the programmable pet food dispenser. This battery powered pet feeder allows you to set meal time for your pets. 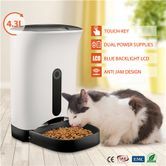 Allowing you to program the time/s when the food will dispense up to 4 times a day in order to feed your pets. Powered by batteries and with low power indicator you will always have ample warning to change the battery. 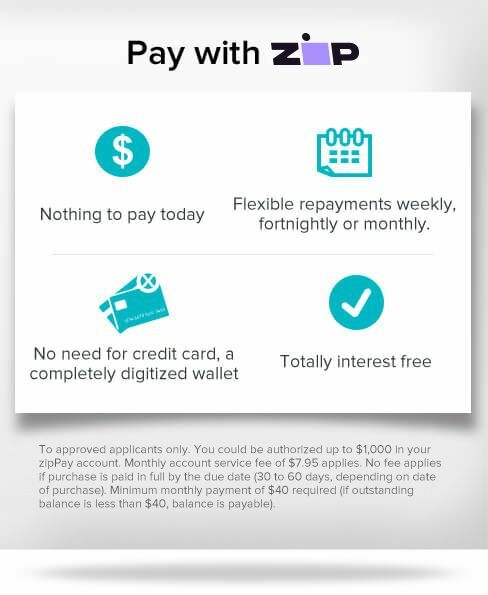 You can even record your voice to signal your pets its meal time. Rest easy at home or work that your pets are being fed on time with the programmable pet food dispenser. 10 seconds' personal voice recordable and plays 3 times before food feeding starts. 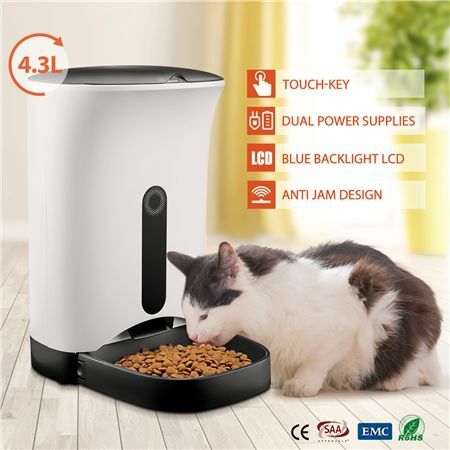 Food capacity: 4.3 liters, suitable for dry food (diameter between 0.3~1.5cm). Sensor inside to stop feeding program automatically once the dispensed food is over 13 portions in food tray. If come to a food jam or overworked the motor will stop working to protect the motor life. High quality motor, work life 2000 hours, Rev 8RPM, rated voltage of 4V.